SRINAGAR: Two Pakistani soldiers were killed and two Indian Army men were injured in firing and mortar shelling along the Line of Control (LoC) in the border district of Rajouri in Jammu and Kashmir on Wednesday night and Thursday morning. An Army official said the Pakistan Army breached the ceasefire in Bhimber Gali (BG) sector in Rajouri district by targeting Indian Army posts and civilian areas with heavy gunfire and mortar shells. He said the Indian Army retaliated and targeted Pakistani posts and positions and in the intense retaliatory firing, some of their posts were damaged and soldiers killed. The Pakistan Army has confirmed killing of two of its soldiers and identified the deceased as Sepoy Muneer Chohan and Sepoy Amir Hussain. The official said Pakistani troops again resorted to unprovoked and indiscriminate firing with small arms and mortar shells along the LoC in BG, Nowshera, Kala, Sunderbani and Rajouri sectors of Rajouri district on Thursday morning. He said the troops deployed along the LoC returned the fire with similar calibre weapons and the exchange of fire continued throughout the day. 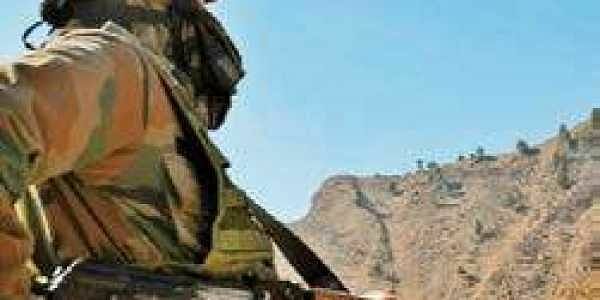 Two soldiers were injured in the firing and mortar shelling by Pakistani troops and have been evacuated to a military hospital for specialised treatment. Sources said two houses were damaged in the shelling. Deputy Commissioner Rajouri, Shahid Iqbal Choudhary told The New Indian Express that schools along the LoC in the district would remain closed till March 5. The schools were closed on Tuesday after heavy firing and shelling by Pakistani troops. Earlier, Uri sector in North Kashmir witnessed heavy firing, mortar and artillery shelling from Pakistani troops from February 20-24. It was the heaviest firing and shelling in the sector since the November 2003 border ceasefire came into effect between the two countries. The firing and shelling affected at least six villages and forced over 1,500 border residents to migrate go to safer places. There has been a surge in border ceasefire violations in first two months of this year. At least 21 people including 12 army and BSF men and nine civilians have been killed and over 75 others injured in Pakistani troops’ firing and mortar shelling along the LoC and IB in J&K in 58 days.